The Zapatistas have announced plans to put forward an Indigenous woman candidate for Mexico’s 2018 presidential elections, marking a break in strategy. The Zapatistas marked 23 years Sunday of their iconic uprising against the Mexican state that has inspired social movements around the globe as a leading example of autonomous organizing and Indigenous resistance. The Zapatista National Liberation Army, known as the EZLN, commemorated the anniversary with a private ceremony in Oventic, in the southern Mexican state of Chiapas. The event was closed to the press and people outside the Zapatista community. The celebration also marked the 20th anniversary of the National Indigenous Congress, an initiative the Zapatistas first launched as a rallying cry in the early years after the movement emerged to bring together Indigenous peoples from Mexico and other countries to advance their struggles through solidarity. On Sunday, the EZLN was also expected to announce its presidential candidate for the 2018 elections — which the movement has already indicated will be an Indigenous woman — after a process of community consultation. The decision to put forward a candidate for the next election marks a break with more than two decades of Zapatista strategy of rejecting the Mexican state and electoral politics. In a recent statement, Zapatista Subcomandante Galeano, formerly known as Subcomandante Marcos, reflected on the EZLN commitment to “fight to build freedom,” saying it was a mission that the community agreed to work toward collectively with the participation of all. The movement has seen victories, but also considerable challenges, including intense repression and criminalization of the struggle at the hands of the state, private landowners, and paramilitary forces. 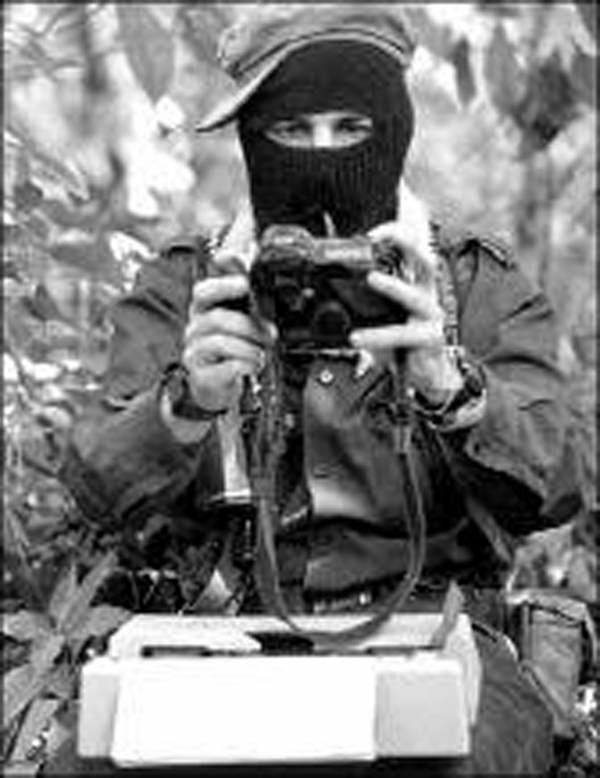 But despite the hurdles, over two decades after the masked Indigenous army emerged from Chiapas’ Lacandon jungle and announced its resistance to the Mexico and to the world, the EZLN struggle continues as an ongoing road to self-determination and new alternatives to global capitalism.